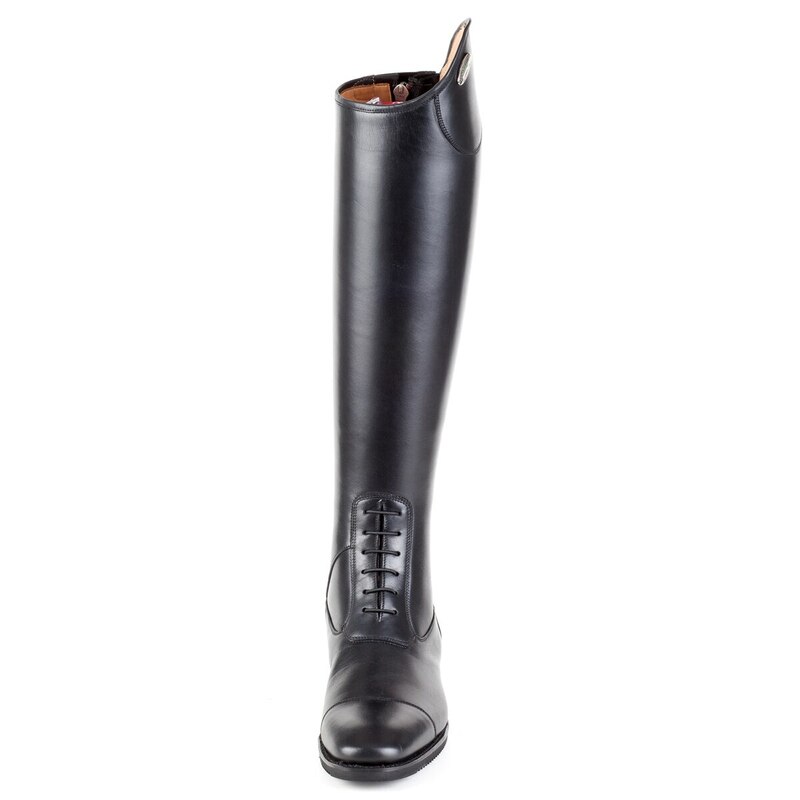 The DeNiro Salento Field Boot is a completely handmade riding boot that features DeNiro's superb performance and quality. 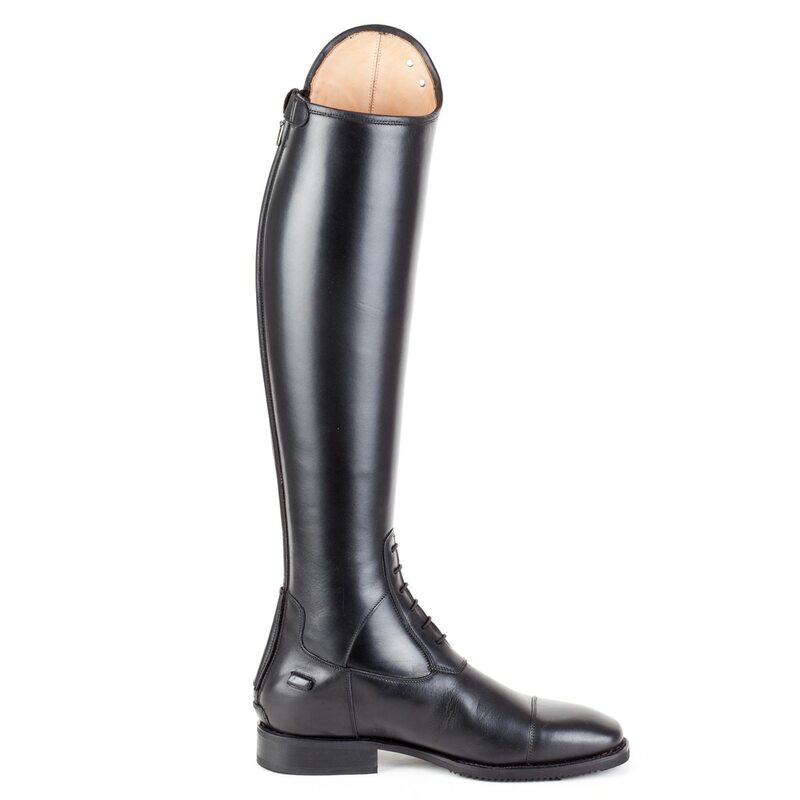 All DeNiro Boots are made with grain calfskin leather inside and out. 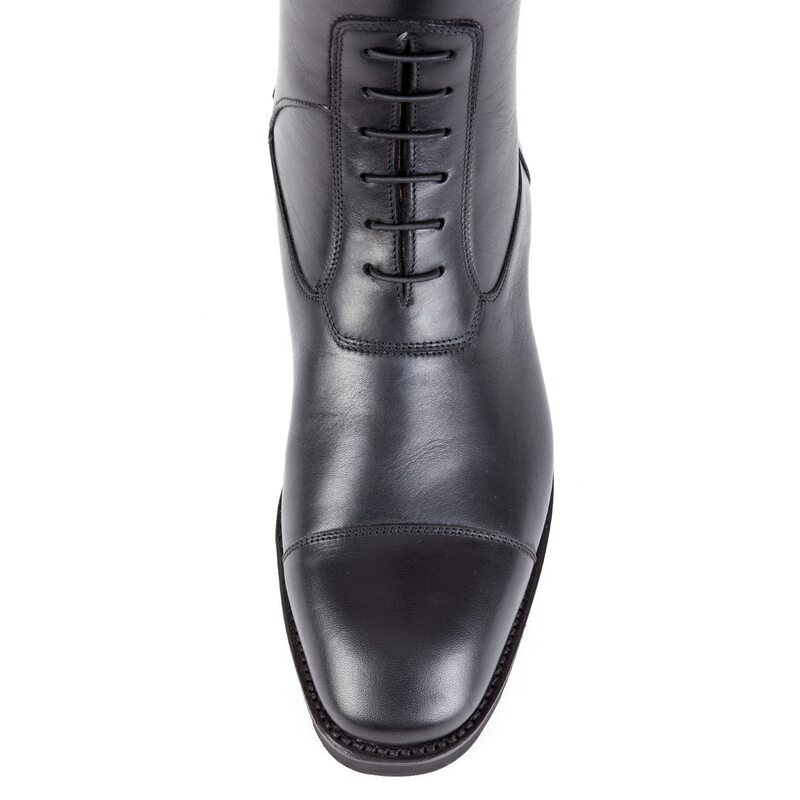 Every boot undergoes the unique Water Resistant Advanced Treatment (WRAT) for the leather sole as well as the outside leather. The treated leather still retains it's breathability, allowing sweat to escape, while preventing outside water from seeping in. 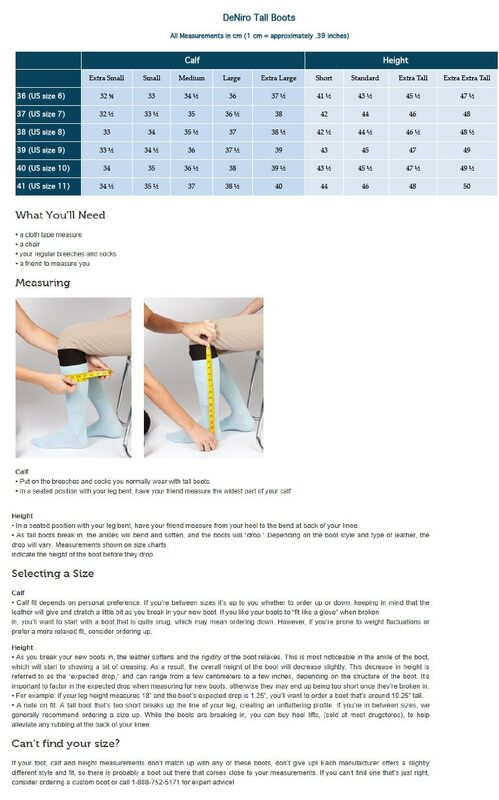 Activated Carbon Insoles have a natural antibacterial action, while the mid-sole is made of natural leather and has a high sweat absorbent power keeping your feet clean and dry. Vibram anti-slip outer soles keep your feet secure in the stirrups, even in the worst weather. following simple steps to care for them. and helps to maintain the natural elasticity of the leather with usage. our soft black boot bags. Let the boots dry fully and absorb the product. that may stain or alter the leather. every use. Make sure the zipper is completely open while removing the boot. DeNiro Salento Field Boot is rated 4.5 out of 5 by 42. Rated 2 out of 5 by RLFHunter from The Most Comfortable Boot, But Horrible Zippers!! I have had the Deniro Salento boot for two years now. I have absolutely loved them with the exception of the zippers! I have had my zippers replaced 4 looking at 5 times (they just busted again). They are super comfortable just unreliable. These are the only zip up tall boots I have had these issues on. Unfortunately I do not recommend these boots. 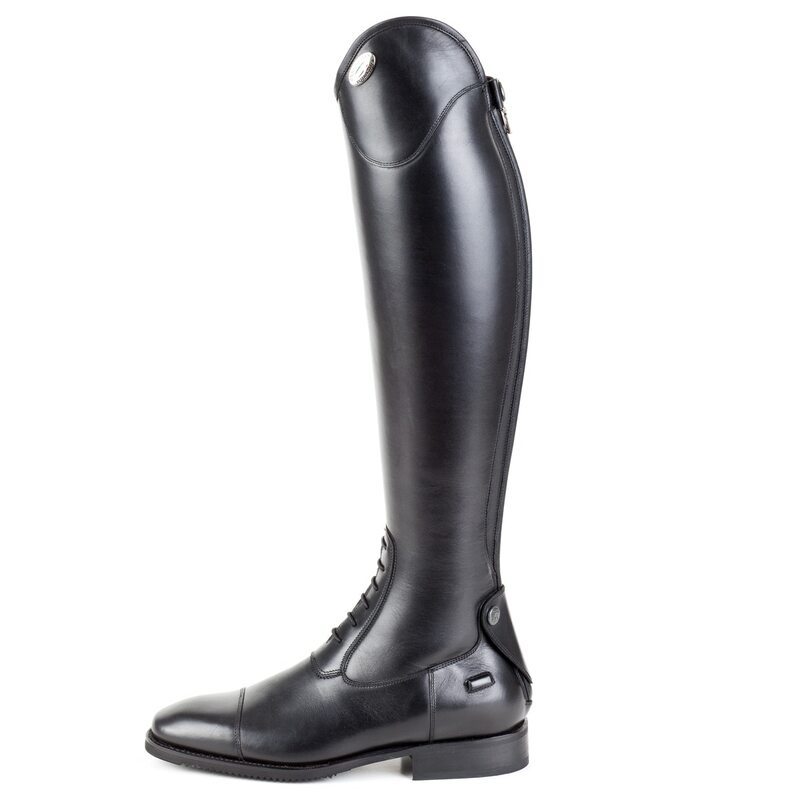 Rated 5 out of 5 by ch513 from Beautiful, Quality Boots I absolutely LOVE this boots. The fit is incredible once they are broken in. These boots did take a while to break in and they created some pretty nasty blisters on the back on my ankles in the process. However, after these are broken in they fit like a dream! They don't drop a ton- so keep that in mind. They were very tall until they were completely broken in (about 6 months later). Also, mine were SUPER tight when I first got them (which I wanted) and now they stretched out and fit snugly but not to the point that they are uncomfortable. I bought these to only wear at shows and now they fit so well I wear them every ride. Overall- I really love these boots. They fit as well as I could have hoped for boots off the rack. Extremely durable (which is why they were so hard to break in in my opinion). Can't say enough good things- totally worth the money. Rated 5 out of 5 by Trader from Great boots!! I bought these boots after a long attempt of trying to find a boot that would fit over my calf. I am short with a larger calf and most tall boots wouldn't fit! I was surprised that these fit perfectly! The only thing is that I did have to size up on the foot size. I normally wear a size 6 and I had to send the size 6 back and exchange them for a size 7. That being said the boots are wonderful! 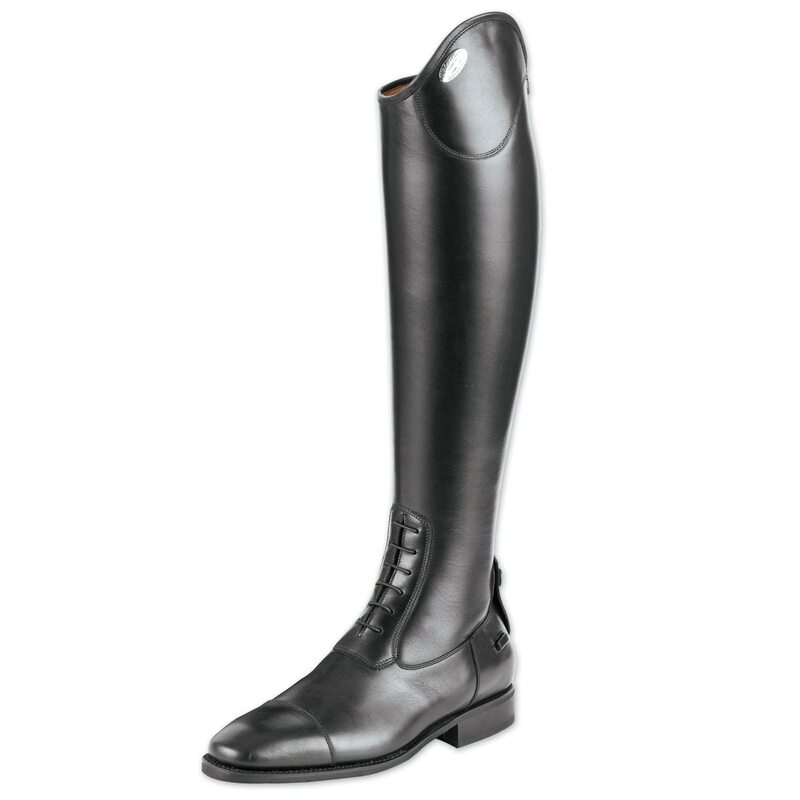 Rated 5 out of 5 by Equino from Gorgeous boot, comfortable and short break-in time I had to return this boot the first time to order another size; the sizing chart is a bit off. But the second boot I received is beautiful, leather is soft but holds its shape, and the square toe is comfortable on my wide foot. 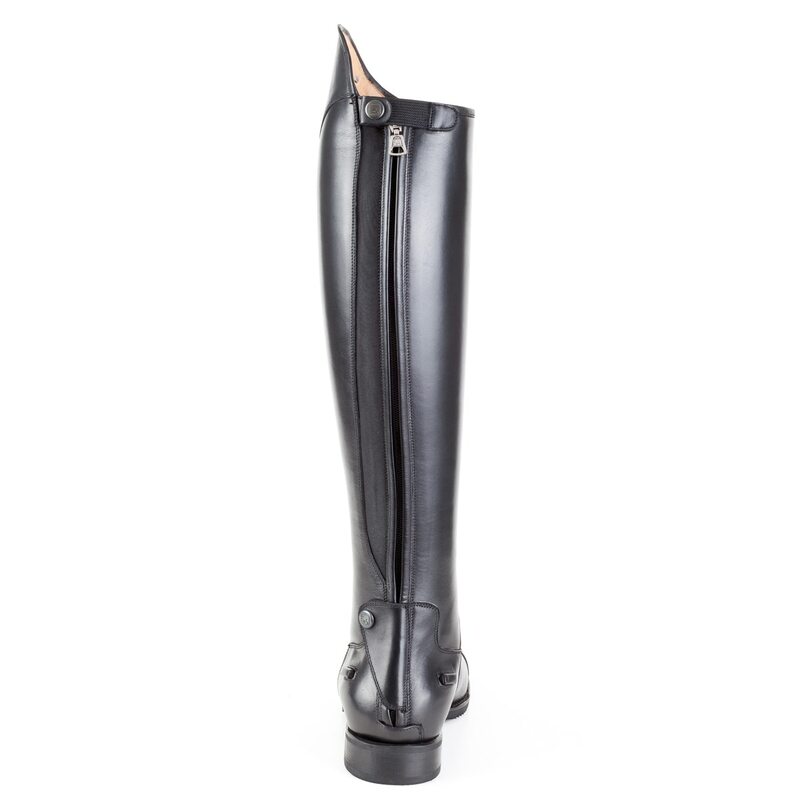 The leather is slippery against the saddle, though, so don't wear these boots to show until they're broken in! Rated 3 out of 5 by Ssibel from Fits great I love how these boots fit. I have exceptionally small ankles and have never had a boot fit them until I tried DeNiro's. Unfortunately on both pairs of boots I've bought the zipper broke after less than 3-4 months of use. I would recommend these boots to a friend but I'd also warn them that the zippers haven't lasted very long for me and for what they cost I would think I'd get a little more use out of them before having to spend more money on new zippers. Rated 5 out of 5 by mclaire from LOVE I bought these last summer and love them!!! They look great and are very durable. I tried lots of other boots when looking for a new pair and these were by far the comfiest (I tried Parlanti, Ariat, Tredstep etc...). Would definitely buy another pair in the future. 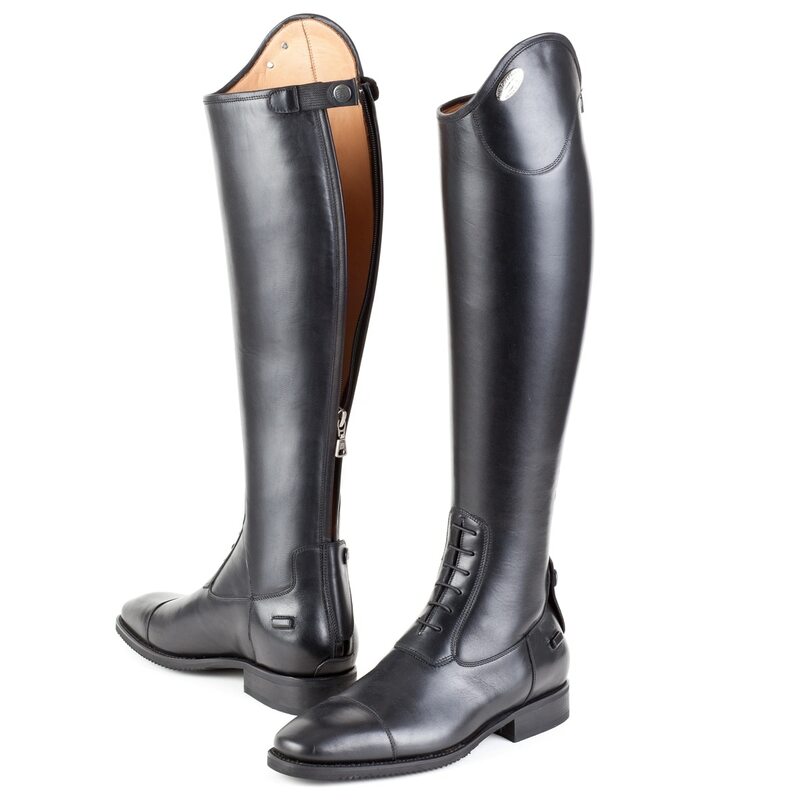 Rated 5 out of 5 by Eqrider19 from Love love love These boots were everything I wanted them to be. They are so beautiful and fit like a glove! Definitely recommend. Rated 5 out of 5 by den415 from Great looking boots! I bought these boots a month ago and love them. The foot runs a tad big if you have narrow feet, but the height is true to size. The foot bed is super comfy but wear thicker socks when breaking them in because of the creases when they try to drop down. Once they are broken in they are absolutely great! !